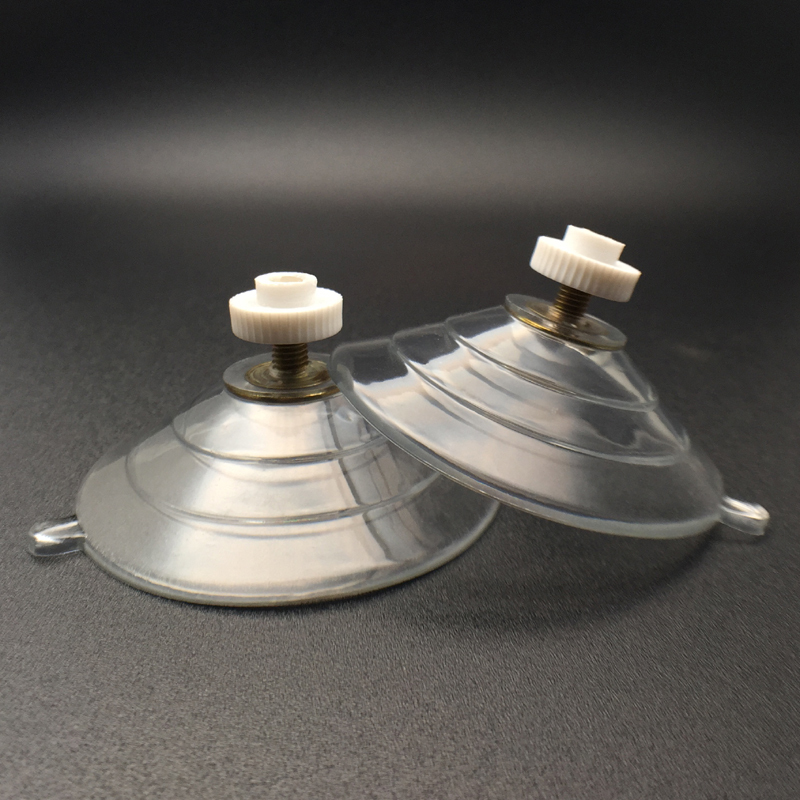 Large suction cups with stud & nuts. 60mm diameter. A stuff which is used for sucking needs of people is commonly called as a sucker. The suction cups are the form of suckers with excellent powers of suction. 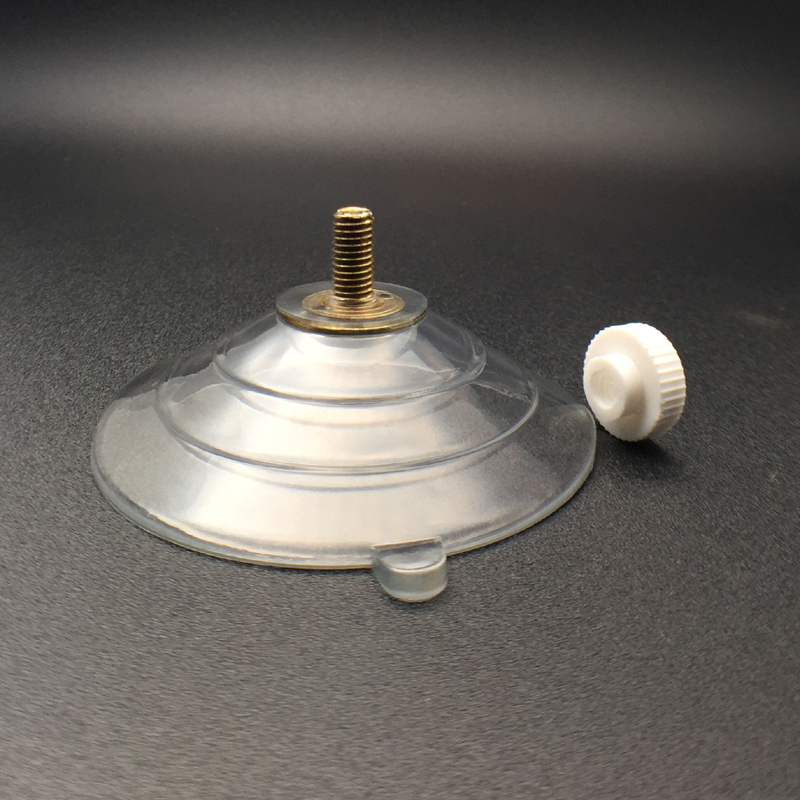 The flat encircling form of these suction cups will easily fix to any surface. 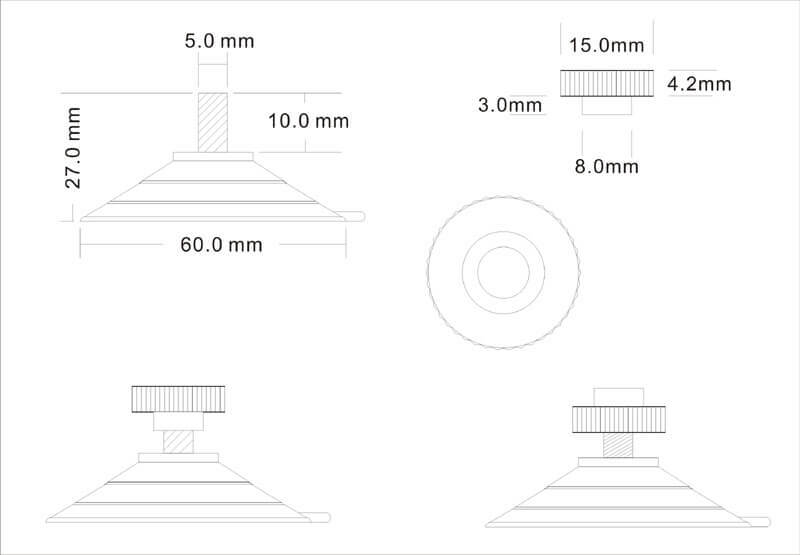 This Suction Cups-Screw and Nut 60M5 10nuts is made with more flexibility which replaces the older ones. 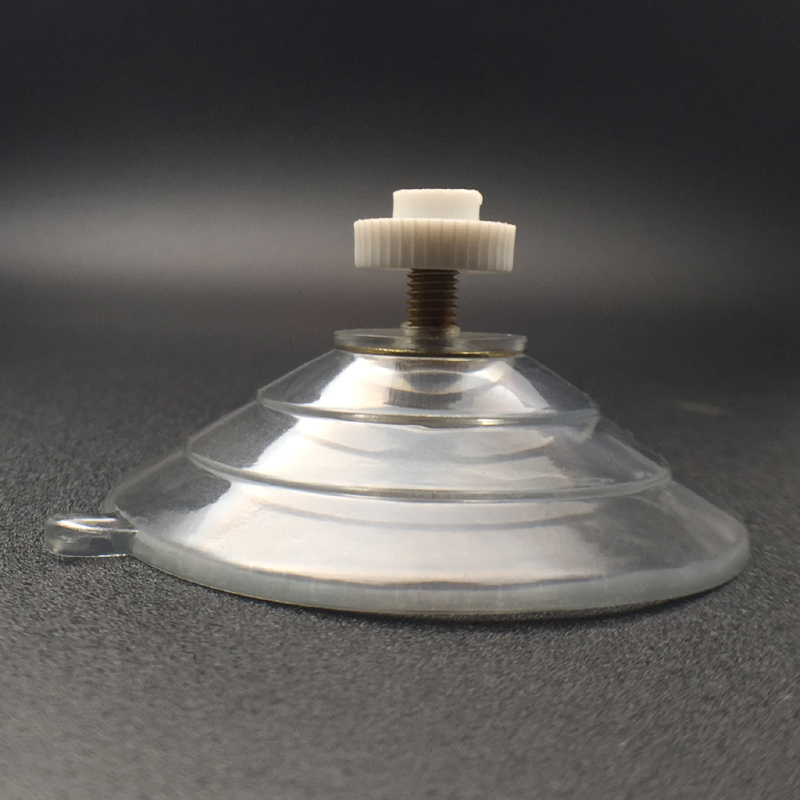 Suction cups can be obtained in the form of hook suction cups, rubber suction cups, liver suction cup hooks, small and large suction wall hooks etc. The suction cups that come with large hooks are easy to fix than smaller ones. But, smaller ones are suitable for small hanging purposes. 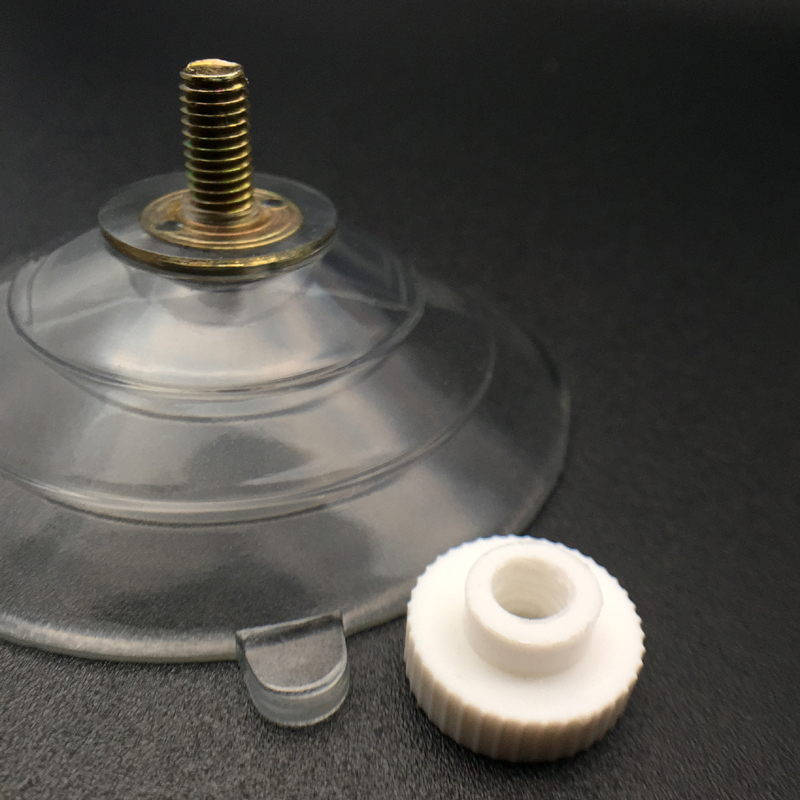 In this suction cup product, the cup is made with a diameter of 2”. This suction cups can be used as bathroom suction hooks for holding desired weight. This contains suction cups along with screw and nuts of 10 with 60mm diameter. This can be used for different sucker purposes. Users have to specify hook while ordering these suction cups in online. That is this can be used as a suction cup with the hook for self hanging purposes. It is used to stick pool liner material. So this can be best suited for windows and walls. Similarly, users can use this suction cup for their cars also.